When engineer George J. Manseau Sr. decided he wanted to go into business on his own, he first went to work for a heat treating company in Skokie with the agreement that the owner would eventually sell to him. When the owner reneged on the agreement, Manseau concluded he had learned enough about the heat treating industry to start his own company and formed FPM Heat Treating in 1979 with three partners. "My father was such a good businessman," says George Manseau Jr., FPM Heat Treating's general manager who has been with the company for over 30 years, "that many of the employees and customers from the Skokie company where he had worked came over to join him at FPM." 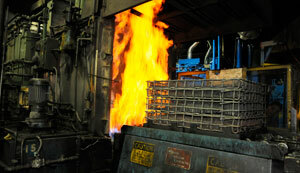 After getting through a difficult first month caused by the blizzard of January 1979, FPM Heat Treating became so successful that by the end of its first year, Manseau says it was "busting out of the seams" of its original 13,000-square-foot facility on McCabe Avenue in Elk Grove Village. The company then built and moved into its present location, a state-of-the-art 58,000-square-foot building at 1501 Lively Boulevard. Continued success made a 30,000-square-foot addition to the facility necessary. FPM Heat Treating also boasts two additional locations in Cherry Valley, Illinois and Milwaukee, Wisconsin. Today, FPM Heat Treating's 170 employees help to provide a comprehensive array of heat treating services to over 3,000 customers, who comprise all sectors of the Greater Midwest manufacturing community including automotive, agricultural and construction equipment; appliances and consumer products; machinery components and tooling; and general construction fasteners and building products. A fleet of 8 trucks leaves the Elk Grove facility daily to deliver finished products. All three locations of FPM are ISO 90FPM01:2008 certified, while the Elk Grove facility also holds accreditation from Nadcap™ (the National Aerospace and Defense Contractors Accreditation Program) for vacuum heat treat processing. Manseau says Nadcap accreditation is "the most difficult certification to get in the heat treating industry, and very difficult to maintain." 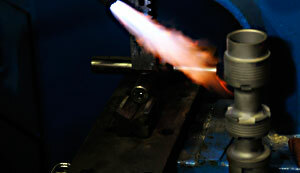 FPM Heat Treating has also established a unique position for itself in the industry by providing outsourced heat treating processes for manufacturing companies which used to do their own. "Some manufacturing companies decide to stop doing in-house heat treating because of aging equipment, not enough personnel, or space issues," says Manseau. "Because of our size and equipment, we're uniquely positioned to take over that service for them. 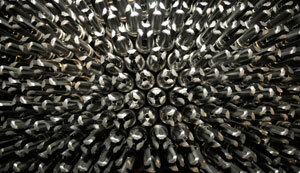 Many other heat treating companies don't have the capacity to take on large projects like that." Besides its size and capabilities, Manseau believes FPM's service is what makes it unique. "In our industry, everyone has the same equipment," he says. "What distinguishes us is a service department second to none."